Kin Canada's National Day of KINdness is for our members and clubs to celebrate our founding (February 20, 1920) and commitment to serving the community's greatest need. Every community has a need for kindness and people performing selfless acts, and our clubs are able to spearhead this in their communities each year. This year, 134 clubs participated and handed out KINdness cards and stickers during their acts of kindness, encouraging others to #PassItOn. 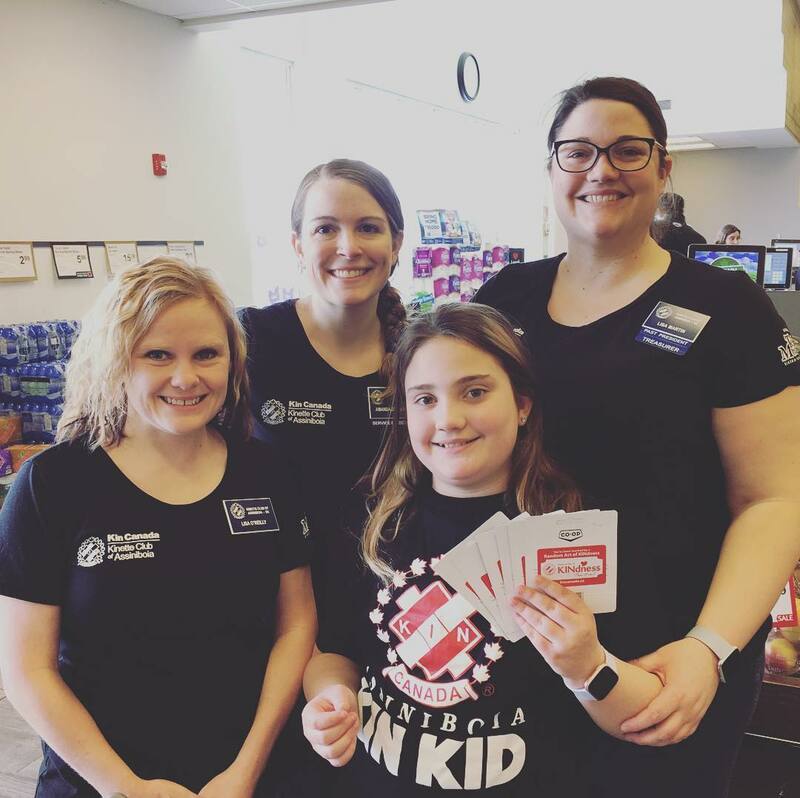 Members kindly packed groceries for customers, gave away free coffee and snacks, made donations within their communities, and spread cheer to everyone they met.